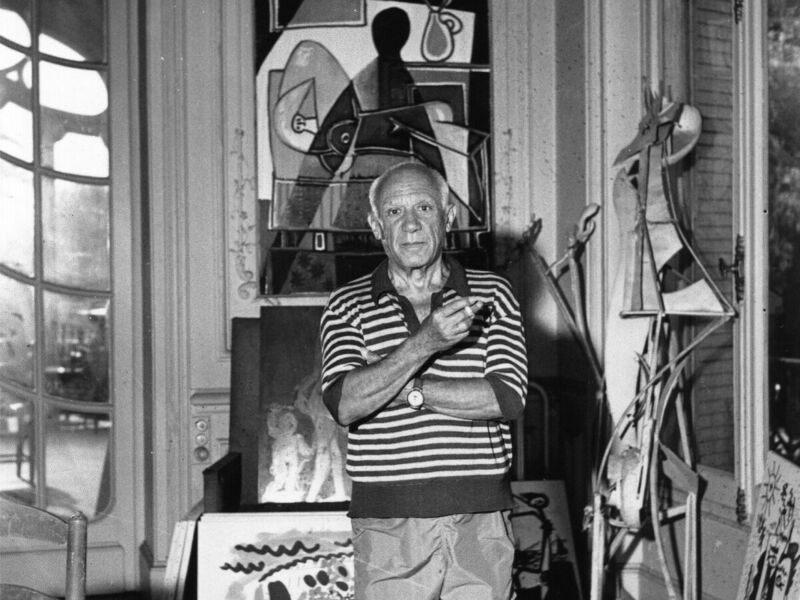 Picasso Painting Sells At Auction For $179 Million, A Record : The Two-Way Another record was set at the same auction when a Giacometti sculpture sold for $141 million. Thirty-four works of art were auctioned by Christie's at the event for a total of $706 million. 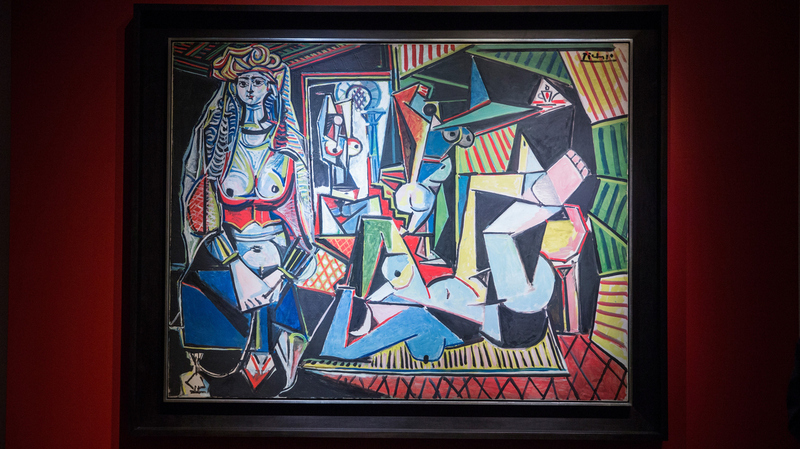 The Picasso work Women of Algiers (Version O) was sold for a record-breaking $179,365,000 Monday by Christie's auction house, making it the most expensive painting ever sold. Two world records for art sold at auction were set Monday night in the New York offices of Christie's. 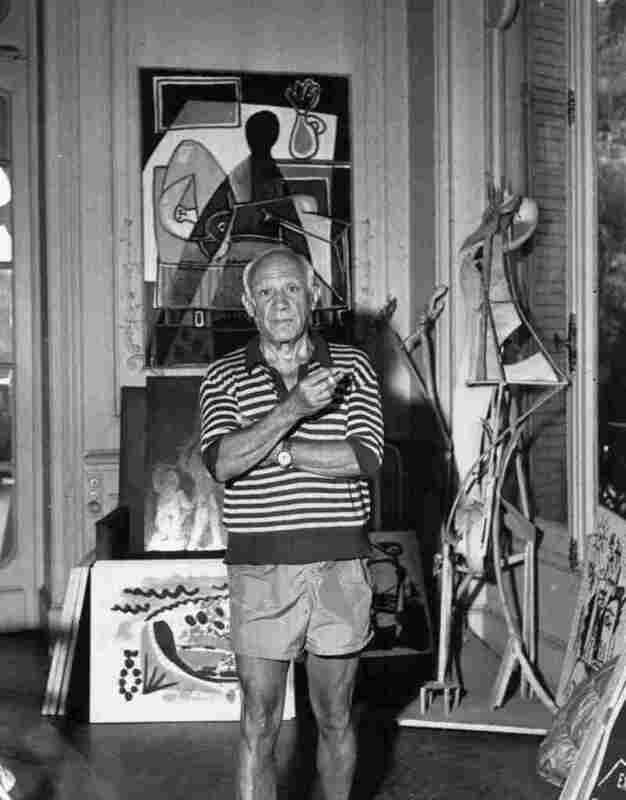 Spanish painter Pablo Picasso is photographed in 1955, the year he completed his Women of Algiers series, in his villa, La Californie, in Cannes, France. Pablo Picasso's Women of Algiers (Version O) sold to an anonymous bidder for $179.4 million, the most ever for a painting. 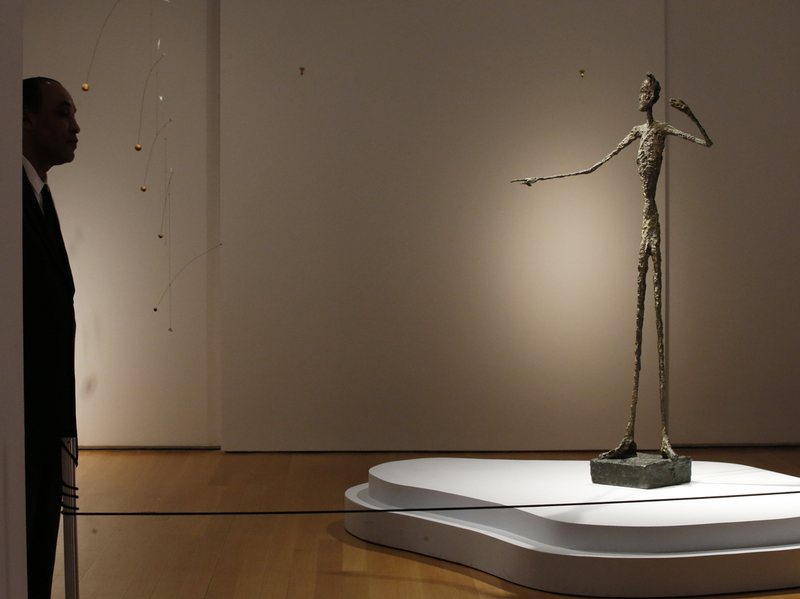 Alberto Giacometti's Pointing Man set a record for sculpture sold at auction when an anonymous buyer paid $141.3 million. "Experts say the high sale prices were driven by artworks' investment value and by wealthy collectors seeking out the very best works. "'I don't really see an end to it, unless interest rates drop sharply, which I don't see happening in the near future,' dealer Richard Feigen said. "Impressionist and modern artworks continue to corner the market because 'they are beautiful, accessible and a proven value,' added Sarah Lichtman, a professor of design history and curatorial studies at The New School. "'I think we will continue to see the financiers seeking these works out as they would a blue chip company that pays reliable dividends for years to come,' she said." 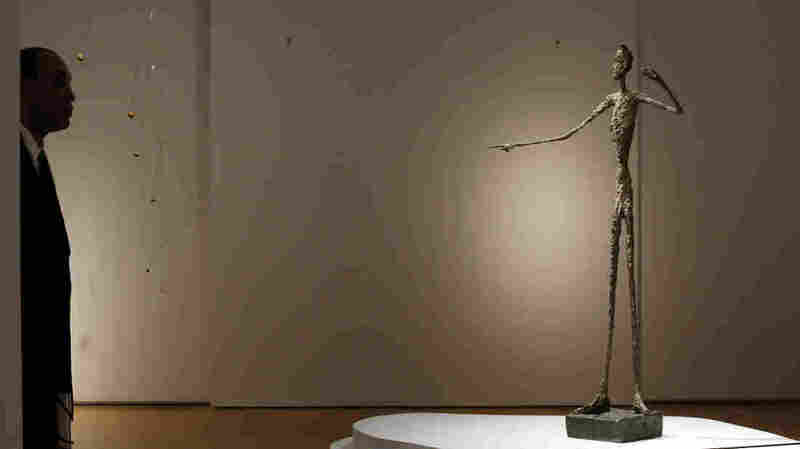 A guard stands beside Alberto Giacometti's life-size bronze sculpture Pointing Man after it sold for more than $141 million Monday, earning it the title of most expensive sculpture sold at auction — a title it took from another Giacometti sculpture sold for more than $100 million in 2010. "All of the works offered in Looking Forward to the Past were selected for their connection to a central theme of artistic innovation inspired by the past. The exhibition generated a tremendous response from both clients and the public. 15,000 visitors have viewed the pre-sale exhibition at Christie's Rockefeller Center galleries over the last 10 days, and this evening's sale saw participation from a diverse group of clients representing 35 different countries." Claude Monet's The Houses of Parliament, At Sunset was part of a series of at least 19 paintings Monet began during stays in London in 1899 and 1900, all from the same perspective, but in different weather and at different times of day. 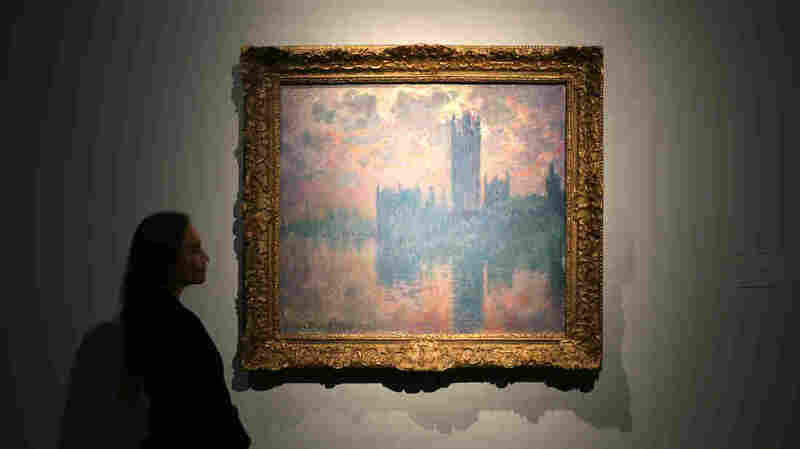 Other noteworthy works at the auction included Claude Monet's The Houses of Parliament, At Sunset, which fetched $40.5 million; and Mark Rothko's No. 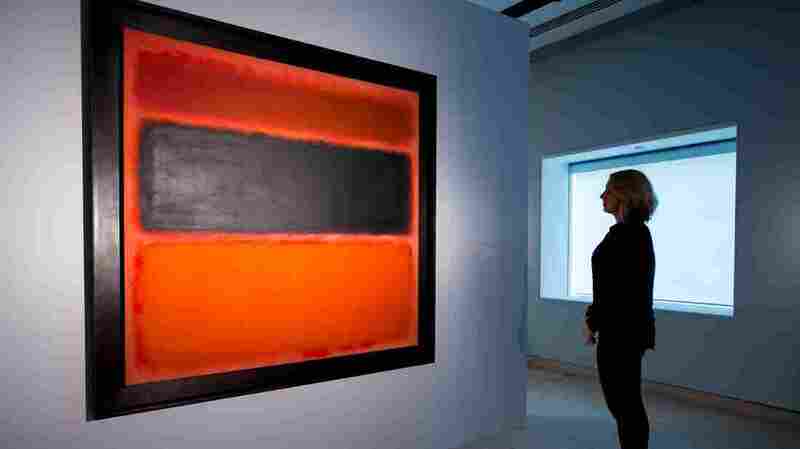 36 (Black Stripe), which also sold for $40.5 million. A visitor views at Christie's London showroom No. 36 (Black Stripe), a 1958 painting by Mark Rothko.